Loads of people be asking questions as to which platform Is best for social blogging and I say all platforms are all very good. Yes I said all because it all depends on which one works for you. Like myself for instance, I use facebook, google+ and the twitter… I prefare to work with these few for now but will definitely expand sooner or later. So what exactly does it take to have one Twitter account? Absolutely nothing more than an active device and internet/data connection to visit www.twitter.com and register. The beautiful part of this is the fact that registration is free and you can have as much as you want to but please use all wisely and for legal purposes.. So now here is the drill. 1. Create a Twitter Handle..
You can create your handle according to your choice of username. I blog here and used my blog name as my handle @lexhansplace and also my personal account @iam_ujumenkiti. So an advice, create one with your brand/blog name so as to allow for professionalism with your audience. Create a bio about your blog and include your blog/brand url for ease of reach by your intending followers/followers. 3. Use a good Avatar/Display picture. No one wants to follow a handle with no image, so please do get one. 4. When you publish an article, You post/share on your twitter handle for your followers to get a read of it..
Its that simple, your followers will surely want to have something to be reasonable to follow you for, so why not give them your published posts and articles to read up. ( You can always at anytime republish your old articles to keep them alive). E. You can use Images along with the post link. F. You write just a few words with your link and post. G. You get massive traffic from twitter if these are done properly. H. You have the chance to publish when ever you want to. I. You follow back your followers (this is by choice but I do follow back also). J. You get to interact with your social audience on twitter better and faster. G. The more active followers the more active and good traffic for you. On a personal experience I’l say twitter is a very good platform to use to socialize and interact with your blog audience. So what are your waiting for? Get on and create that handle now. Don’t forget to follow my blog @lexhansplace and also follow my personal handle @iam_ujumenkiti and also please don’t forget to share this post as someone somewhere will be itching to read and understand a thing or two about twit blogging. If you have more ways you feel or know twitter can be used then please feel free to add up here.. Previous article Dreams, Fantasy…. live your dream and nothing else.. This article is cool. This will really help newbies a lot…. aw!!!!!!!! am glad you found it useful. Good one, spread the word! Just found your blog, really like this post, I look forward to reading more! Very informative article, I will definitely implementing these steps to socialize my blog too. I share my articles on twitter but the best platform for me is Facebook. it's more interactive and get my massive traffic from it. Maybe if I become active on twitter will also gain more followers nd retweets. Nice one..am sure newbies will learn a lot. 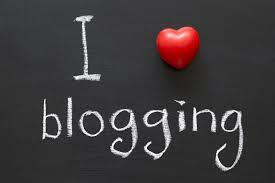 I've loved meeting new blogger with new social media plqyforms. Such great advice! Connecting and creating conversation is the best way to build loyal followers and a strong community! Great article.Very helpful for newbies like me. Thanks for sharing. Good post on Twitter. I do post my blog post on Twitter. Twitter is by far my largest platform but it doesn't really send anybody over to my blog. I have much better luck gaining traffic from Facebook and Pinterest. Facebook and Pinterest are awesome also.. just try working more on your twitter. I feel like Twitter is easy to gain followers but I definitely lack in the engagement and referrals to my blog. I will work on being more active! Thanks for the post! I am starting to really like and understand Twitter, just recently had a "tweet" gain some serious momentum and exposure. Pretty cool! thats the spirit Yami, please do more. Hi, I have a twitter handle but that is a personal one. although it is linked to my blog and I do publicize my blog through it I dont find twitter a very handy medium. Id say my facebook page, social sharing groups and even linked in works better for me. But maybe it is because im still new to the tricks and trade of using twitter for this purpose. I don't use Twitter, but information you gave really give me some insighful ideas about it. I think I will use Twitter soon. please do, it helps alot, though not as much as facebook has done for me though. You are so right about this. All this social platforms are so essential to growing your audience. I have my blog set up where every time I post a new blog post, it auto shares it on twitter. It is important to use social media to promote your blog which I have been lacking as of late due to long work days. so true, the social media is where the sweet cakes are for bloggers. social media is key to use for almost every blogger… am still gettign to grasp with my instagram though. 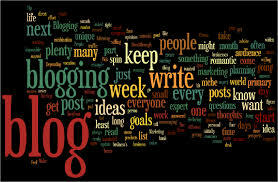 These are some great basic tips for beginners to blogging! Groups where bloggers share likes, tweets, etc are great. If you get a good group.